As the garment for our mix&knit-along we chose this beautiful jacket in patchwork technique. It is especially suited for playing with the yarns of the mix&knit collection and giving the design a very personal look. To help you plan, here is already some basic information for you before the KAL starts on October 7th. 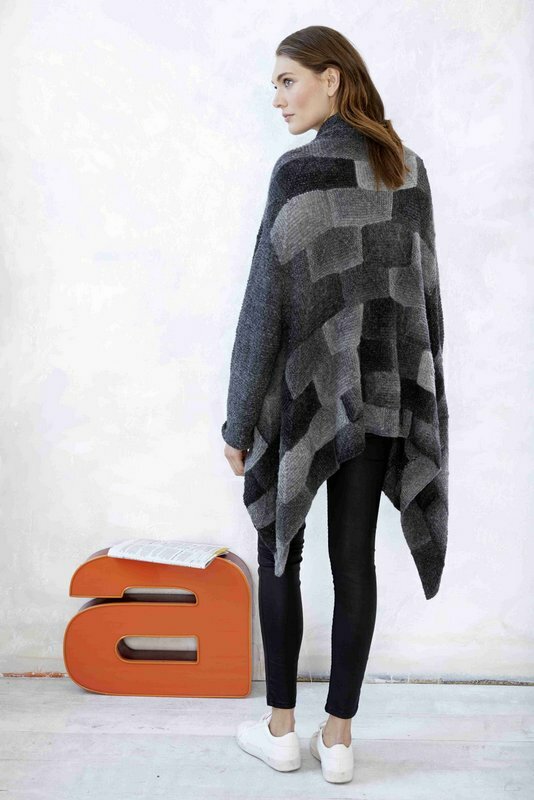 Here is the free pattern download "Pieceful Cardigan" in EN, FR, NL, DE. The jacket features a loose fit and a long, "pointy" look. The cut is very simple. It is only a rectangle with vertical armhole slits, onto which the sleeves are later attached. The fronts and back are worked as one piece then finished with a wide, garter stitch band. The jacket drapes casually and fits sizes 38 – 44. If you would rather knit a shawl instead of a jacket, the instructions can easily be adapted. The jacket is knit in a patchwork pattern which can be bright and colorful or more subdued, depending on the choice of yarn. Inspiration can be found here. For the jacket, 90 rectangular patches are needed – 10 patches widthwise (= row 1) and 9 patches vertically. The odd and even rows are staggered in relation to one another, so that they form a brickwork pattern. This means that the 2nd, 4th, 6th, and 8th rows (counting from the bottom up) each begin and end with a half patch (square). The same is true for the armholes. 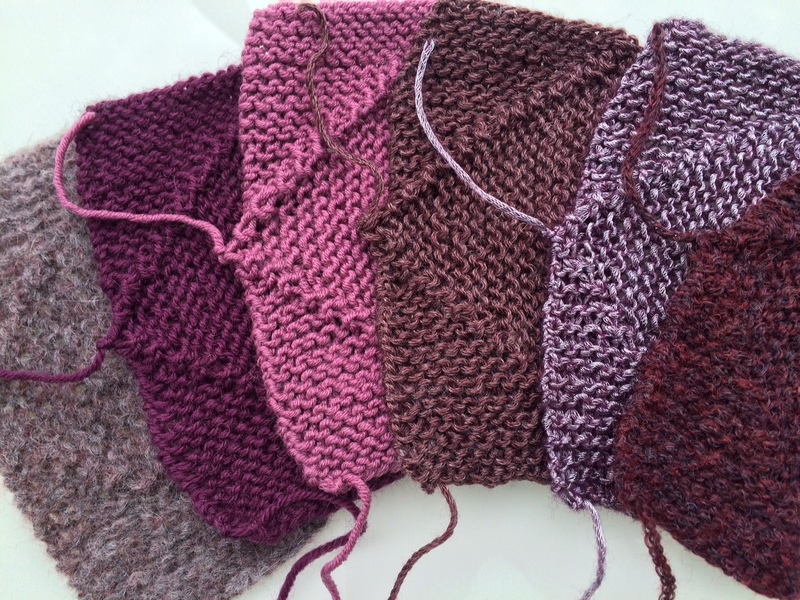 There, 8 squares must be knit, instead of 4 rectangles, to maintain the pattern work. If you look at the diagram, you will see that you need a total of 82 rectangles and 16 squares for the jacket. For the 16 squares, the same amount of yarn is needed as would be needed for 8 rectangles. You can, therefore, base the amount of yarn needed on 90 rectangles plus enough yarn for the band and sleeves. A rectangular patch is approx. 15.5 cm wide and 7 cm high (6.25 inches wide and 2.75 inches high). Depending on the yarn used, each patch will have a different weight. Those who prefer a lighter jacket will combine the lighter yarns, Soft Mix, Soft Shimmer, and Fashion Pieces. Using the Merino and Wool yarns will result in a slightly heavier jacket. Take this weight difference into account when designing your jacket. As far as the gauge is concerned, all mix&knit yarns have the same gauge so they are wonderfully compatible. We recommend that you first select your yarns and colors. You can then make a sketch to plan the color and yarn placement – paper and colored pencils will be a help here. As soon as you have drawn your pattern and labelled the yarn and color placement, it’s time to do a little calculating. 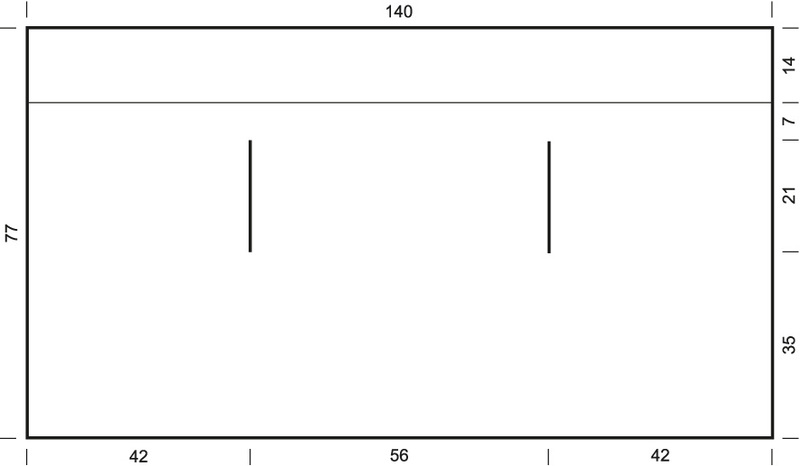 As an example, here are the calculations for the original Pieceful Cardigan in black and gray. For this cardigan, Fashion Pieces and Soft Mix yarns in three different colors were combined. The 68 white rectangles represent Fashion Pieces in schwarz dégradé. The 22 gray rectangles represent Soft Mix in schwarz dégradé. To knit 68 patches, you therefore need 14 balls. To knit 22 patches, you therefore need 3 balls. Don’t forget that additional yarn is needed for the sleeves and the band. For our example, we knit the sleeves and band with Fashion Pieces schwarz jaspé and for this a total of 8 balls were needed. If you don’t feel like doing all the calculating, you can simply also use these two yarns in three coordinating colors of your choice. We wish you lots of fun looking, drawing, and planning!